Make sharper shots using auto focus. One of the biggest mistakes I see beginner photographers make when first starting out, is to presume a lens manual focus is better than auto focus. The truth is, focusing with auto focus lenses has never been so simple! Personally, the only time I switch the camera to manual focus (MF/ M) is if my lens is having trouble focusing. The lens may be swimming back and forth, looking for something to lock onto. For example, in low light or low contrast scenes the lens may have trouble focusing. Otherwise I’m more than happy to make it easier on myself and keep it on autofocus. There are times when you would only use manual focussing, such as night sky photography. In the case of astrophotography, you are probably using long exposure times, the earth is rotating and those stars are so far away. In this situation, the lens auto focus function would have a hard time to lock onto a suitable subject. Exactly one of those times when I would turn off the AF function and use manual focus. I would turn off auto focus and image stabilization (if applicable), set the lens to infinity and not move the focus ring at all. Learn more about focusing to infinity here! 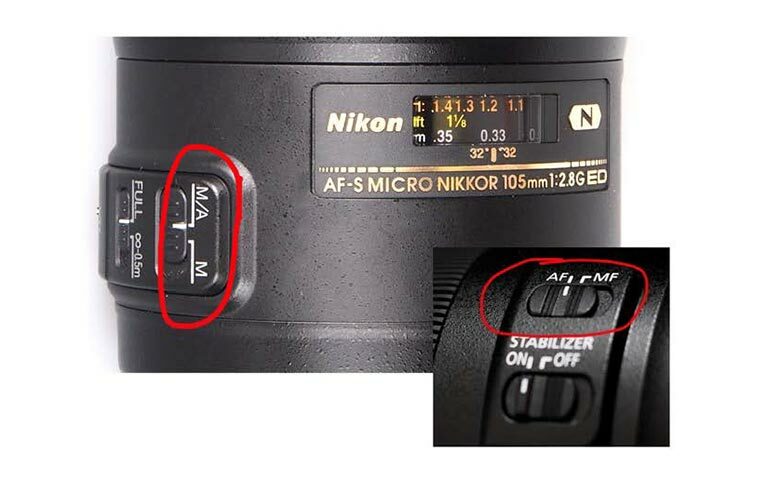 Of course every photographer will have their own opinion on the matter, but if you are using manual focus and wondering why your images are not as sharp as you’d like, why not try autofocusing and compare the results?